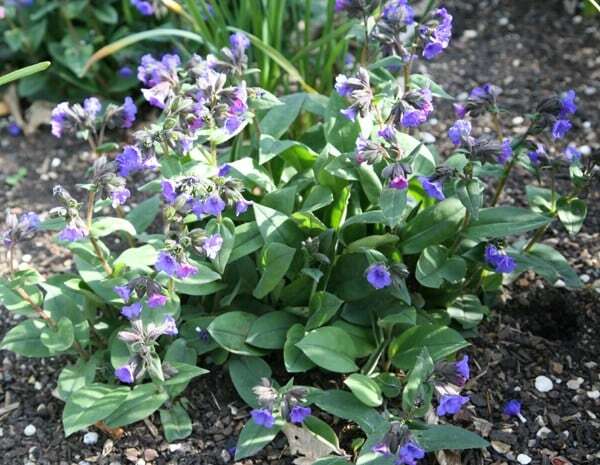 Delightful, large blue-violet flowers borne in spring above unspotted, dark green foliage. 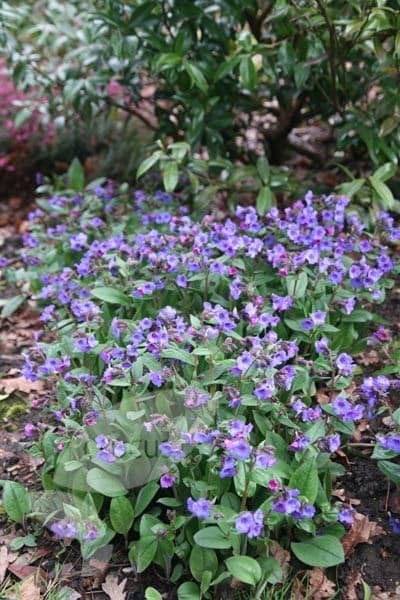 An excellent groundcover plant for a shady spot. Choose a place where the soil retains moisture over the summer and where the bright flowers can be fully appreciated. 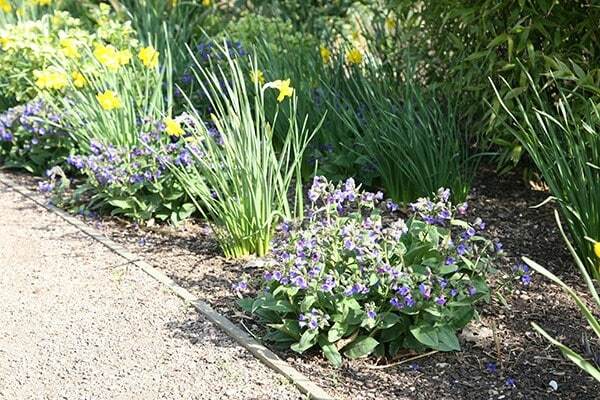 Garden care: Lift and divide large clumps every three to five years after flowering or in autumn. Cut back plants affected by mildew to the ground, water and feed - the plant will regenerate and produce new leaves later in the year. Such a great shade loving perennial that provides some much needed colour in early March, its also such a valuable early source of nectar for bees. My review is based on identical plants that have been established for several years and not the ones bought in early summer 2016 which are yet to flower. 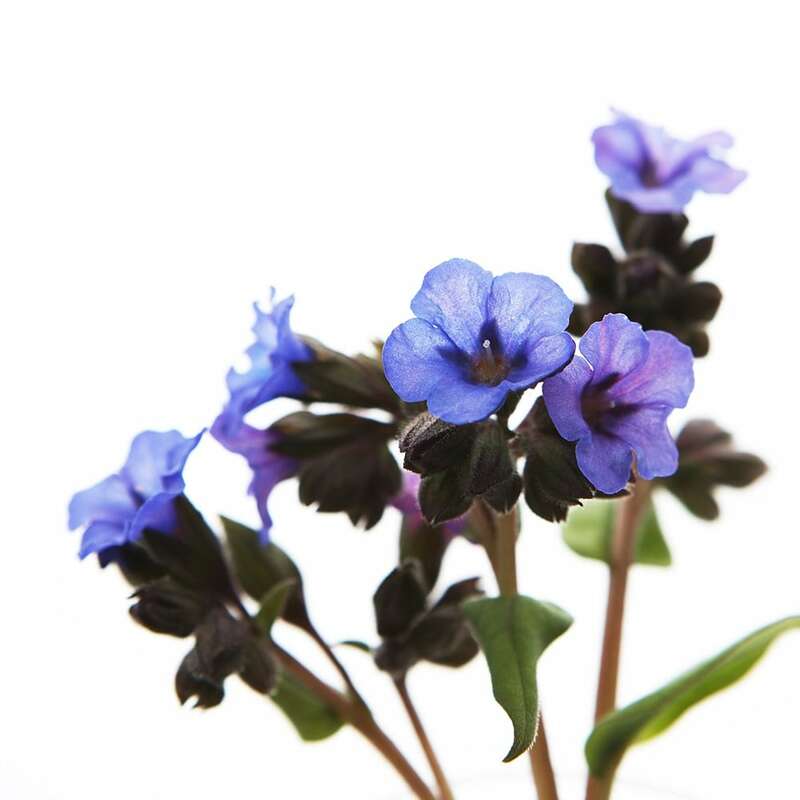 The older plants give many weeks of bright blue flowers. The new plants have grown well in shade and I expect them to start flowering in spring 2017. A pretty plant, have in 3 different colours. Some in pots & some in rockery. They did very well with all the rain, so assuming will be hardy. Stay green too, even now the leaves are green (December). 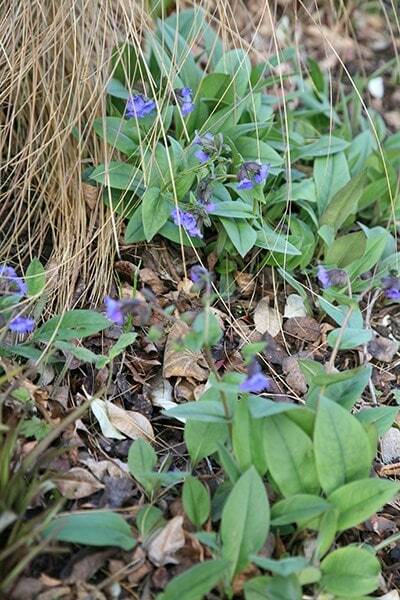 Do rabbits like Pulmonaria? Suddenly Rabbits have decided they like my garden.